CNN SXSW « Hello Sekati. CNN requested an awareness piece at SXSW (South By South West) 2011 in Austin for iReports & the new CNN Android Application. 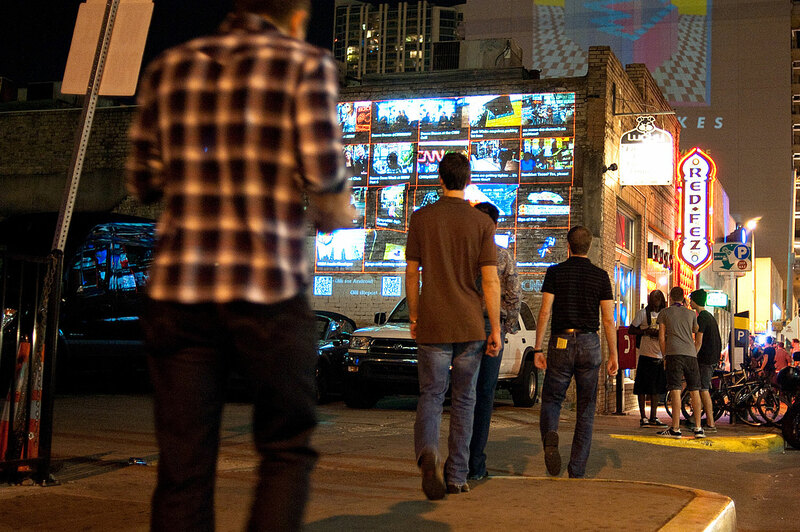 The installation was build via an Air application which pulled live iReports feeds of SXSW & displayed iReport-like tiles which flipped in & out using the custom Sekati API class RotationPlane (documentation) & employed QR codes to load the new application on to passer-bys Android (or iOS) devices. Hello Sekati. © 2019 Jason M Horwitz, Sekati LLC. All Rights Reserved.